My swift has developed an annoying rattle coming from the passenger side door. I could hear it even radio turned all the way up, and it was very annoying whenever I'm driving over slightly uneven roads. After some extensive investigation, I've realised this is due to a pair of wires hitting against the plastic trim on the door. 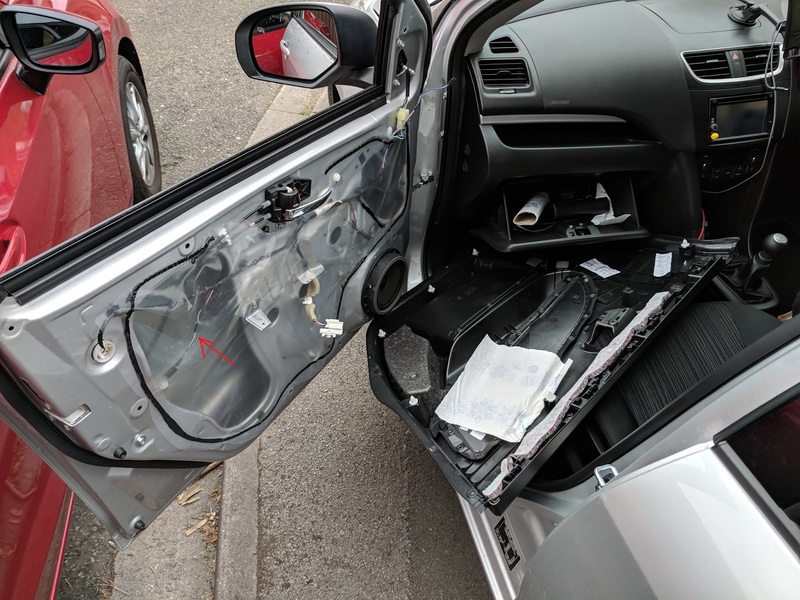 The fix is fairly simple, remove the plastic door cover, and apply some dampening material to the plastic panel. In my case I used some kitchen towel and attached it to the door with masking tape. Easy fix and it worked like a charm.